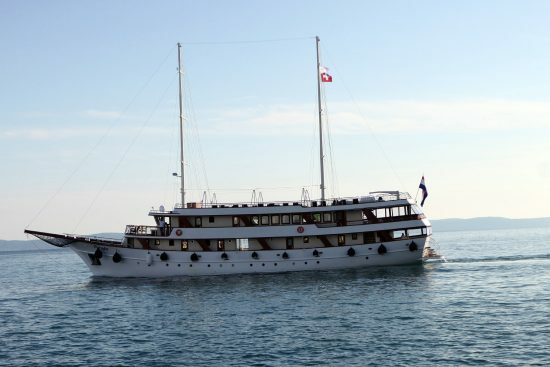 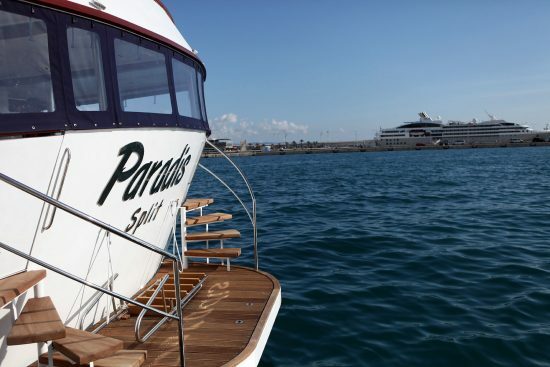 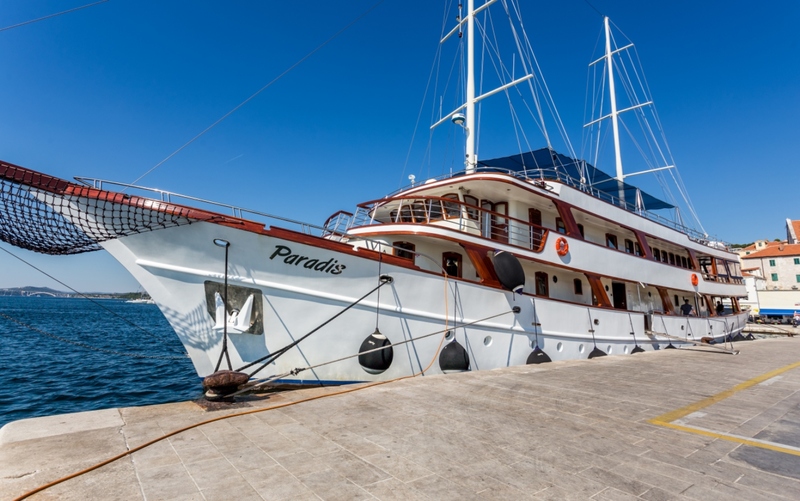 The MS Paradis is a two masted boat with authentic timber styling, that has been cruising the Dalmatian Coast since 2014. 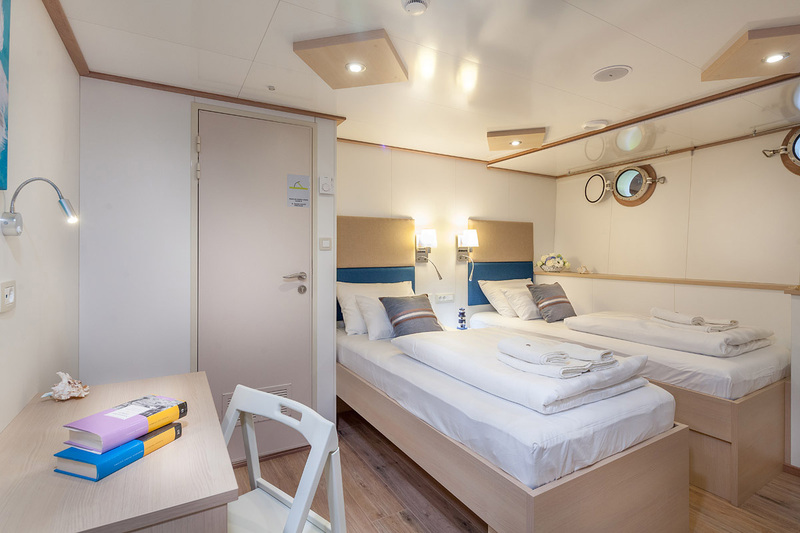 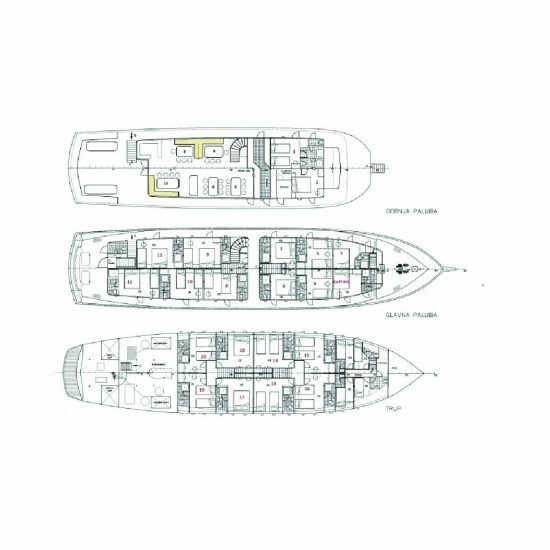 Featuring contemporary, spacious cabins and comfortable, well designed public spaces this small ship is a great choice for your cruise. 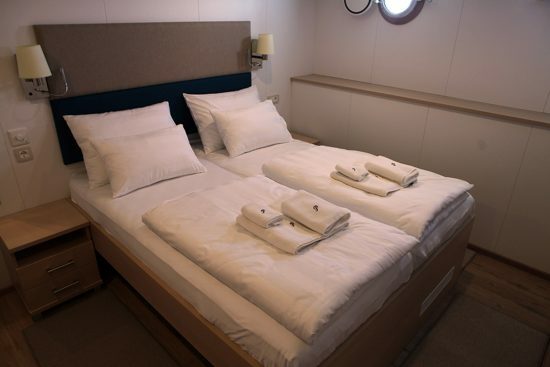 All cabins have full air-conditioning, twin or double beds, private en-suites, LCD TV, safe and more. 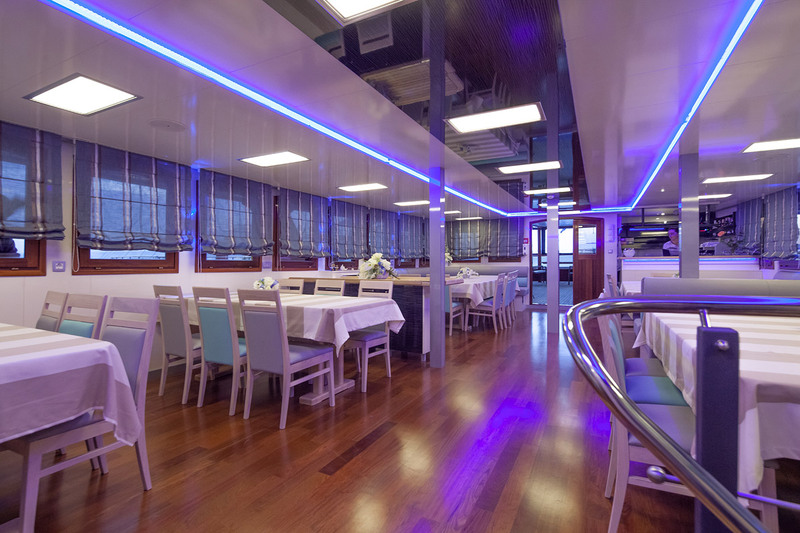 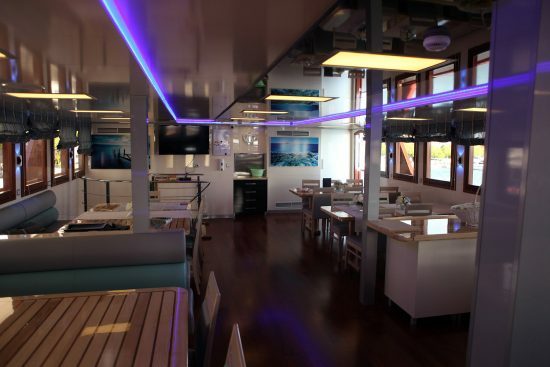 The main part of the ship is the air-conditioned salon-restaurant with lounge bar, which then flows out to an outdoor covered seating area. 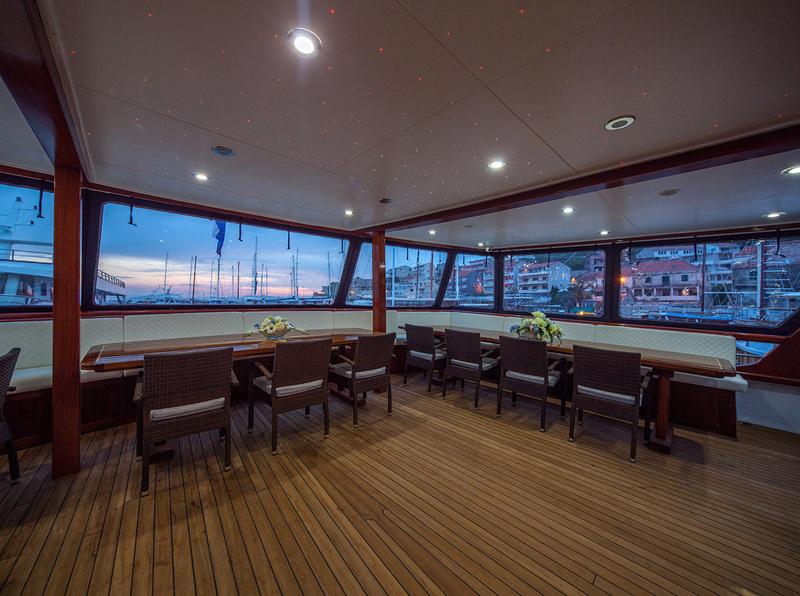 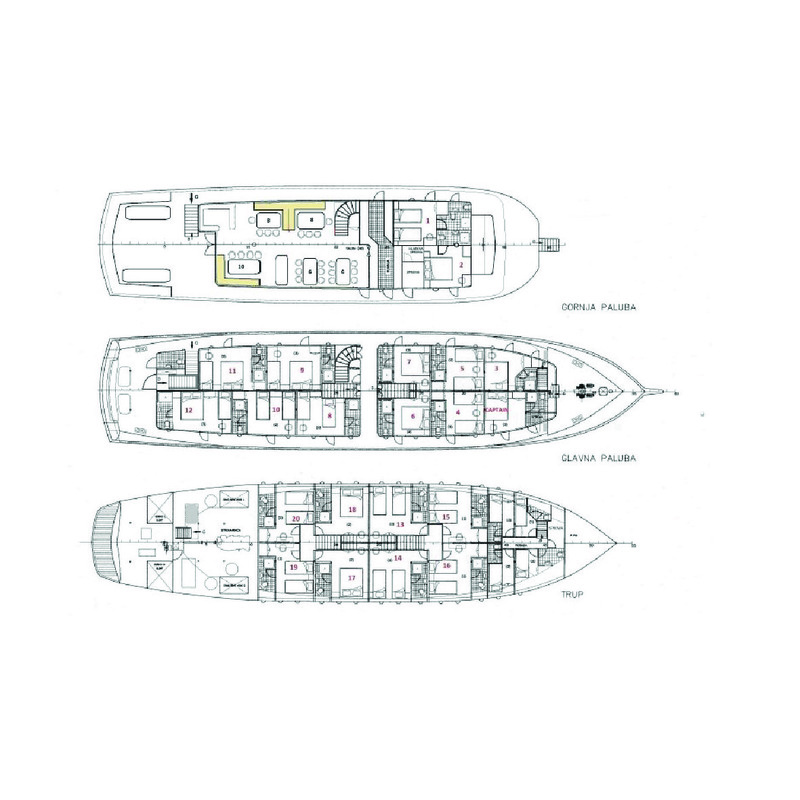 A sun deck with sun beds and outdoor bar and a rear swimming platform complete those facilities. A carefully chosen and experienced crew and Cruise Manager will make your cruise truly unique and unforgettable.